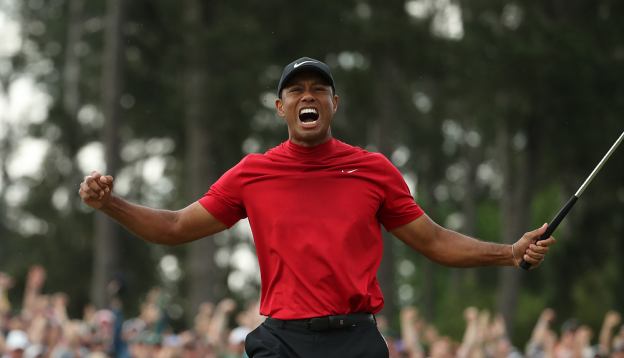 The 43-year-old reportedly said ‘I’m done’ two years ago at the Masters Champions dinner, but Woods turned back time as he won the 2019 title by one shot from Brooks Koepka. It’s been a long road to redemption for the American who has been blighted by injuries and off-the-course issues in recent years, and here we look back at Woods’ miraculous return to the top. Back in 2008 Woods picked up his 14th major at the US Open, and what was more remarkable was that he did it on one leg. Woods played the whole tournament with a broken leg, as well as a torn anterior cruciate ligament as he limped round to claim an amazing victory. Many thought it would be simple for the multiple major winner – have the surgery and come back to dominate the sport once again. It all began to unravel though as his off-course antics caught up with him. Rehab and divorce followed and his fall from grace was spectacular. He eventually returned to the sport and while he regained the No.1 spot another major alluded him, and disaster soon struck as his body began to buckle. He suffered nerve damage in his back and at times the then 14-time major winner could barely swing a club. A fourth back operation at Harley Street wasn’t even sure to do the trick, but he made a return, however he proved to be reliant on painkillers to help get him through and a further low saw him arrested in 2017 after being caught at the wheel of his car slumped at the wheel of his car. He eventually returned and was at one stage ranked as low as 1,199th in the world. He slowly climbed back up the rankings and began to look somewhere near his best with a series of strong finishes – sixth at the Open, and runner up at the US PGA Championship, both in 2018. Then came this year’s Masters. Bar an out of sorts Justin Rose, Jordan Spieth and Rory McIlroy, all the main contenders were in with a shout with two of last year’s major winners, Brooks Koepka and Francesco Molinari in strong contention. Now Woods has major no.15 many believe he can surpass the record of Jack Nicklaus’ major wins, which currently stands at 18. Only time will tell if he can build on this, or whether this was a flash in the pain, but is it still great to see one of the world’s best golfers hit the headlines once again, and for the right reasons. If you took a look at some of the stats throughout the Masters, it all pointed towards a Woods win. He opened with a round of 70 on Thursday, and on three of the last four occasions that he had opened with that score at Augusta he had gone to win the Green Jacket. After the third round he was on a score of 205, and every time he had shot that score or under, he had gone on to win the Masters. However, he did defy one statistic, with this being his first major win after trailing going into the final round. His victory at Augusta means he also becomes the oldest winner of the Masters since Nicklaus in 1986, and the 14-year gap between this win and his last tournament victory is the longest gap in the history of the event. Want to read more about Woods and some of the other great golfers? Take a read of our greatest golfers of all time blog.